This is my list of must have tools for Windows if you own satellite receiver with Enigma 2 software. Amazing tool which nowadays looks a bit outdated but it offers nice functionalities and is very popular among sat enthusiasts. I use this software only for its telnet function (alternative is software called Putty) which is used for connecting to E2 receiver and executing various commands. I usually use telnet for restarting softcams, changing telnet password with “passwd” command and creating .ipk files with opkg-build command (you need to install opkg tools plugin via image feed). 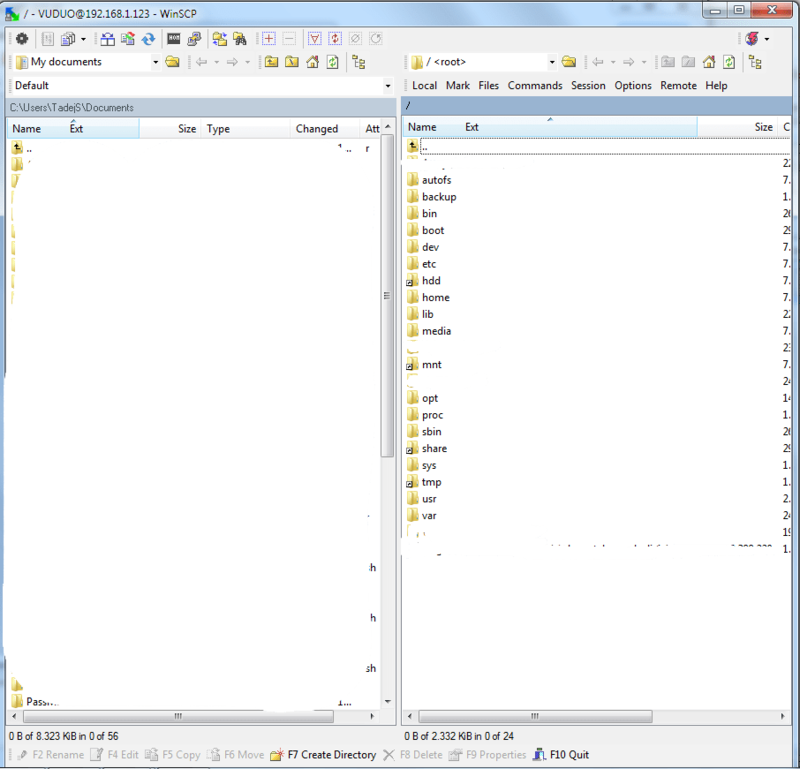 DCC also have FTP functionality but I rather use WINSCP FTP/SSH client which is better in my opinion. Latest version is 1.50 and it is from year 2012. You can download it from the authors website which is in German language! For me this is the best CCcam activity monitor. It looks nice, it works with Windows 7 x64 OS and offers all kind of information (Shares, Providers, Clients, Servers, Entitlements) about CCcam. Its actually so good that I miss it now that I use OScam. Software is not developed anymore and you can easily find the newest version if you type “Funshare CCcam Control” into Google. I think that latest version is 2.1.1 (2010). It can connect to all CCcams (even 2.3.0) and it does not matter if your CCcam server works on receiver or on Windows/Linux server. This application is a must have if you are using streaming function of E2 receivers. VLC opens when you click desired channel in OpenWebIF for example. OpenWebIF is used with open source images like OpenPLi, ViX and others. Dreambox uses different version which is closed source! This FTP client is completely free and I strongly recommend it. It supports SFTP (SSH File Transfer Protocol), SCP (Secure Copy Protocol) and FTP protocols. You can also edit all files directly from this software as it has built-in text editor. If you do not like it, you can replace it with external text editor (I recommend Notepad++). You can do this in WINSCP settings. For more information and download just visit official website! Thanks for suggestion iMaxxx. If I remember correctly you are the author of MetrixHD skin? Amazing skin btw! When you point IPK Creator to the folder PLI-HD, it automatically picks up the data from control file. Then you can edit this file via IPK Creator. Usually, nothing else needs to be changed, but as you can see on the picture, you can also add various scripts and other stuff. I usually do not need these but you might! After you finish with setup, just press “Create IPK file” button. Application then asks you to confirm file destination. IPK file is then created and process lasts only a few seconds. I can firmly say that this app is nice alternative to opkg-build method that I use for building .ipk files. 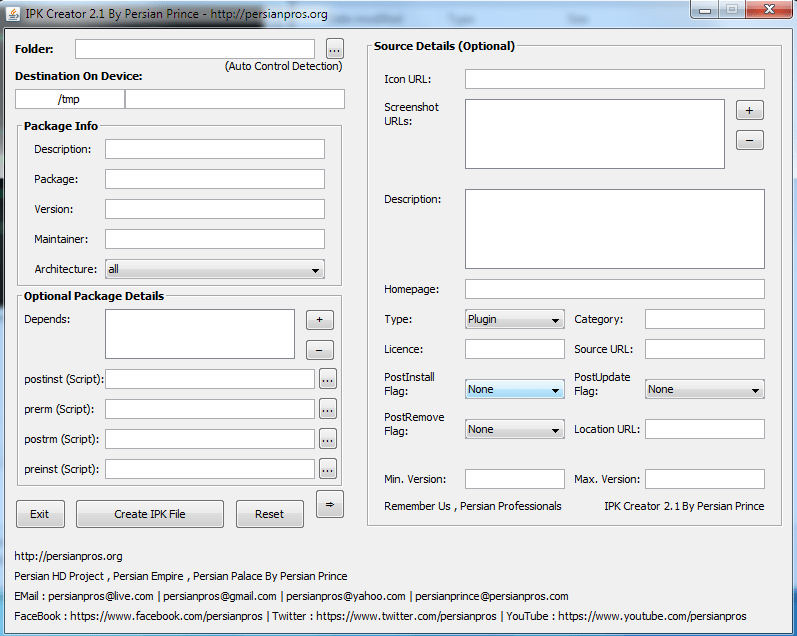 I will now definitely switched over to IPK Creator made by Persian Prince! Latest version is 2.1 and it is based on Java. I tested it on W7 x64 and it works perfectly (check if Java is installed on your system!). I hope that I helped you to choose really must have applications for Windows. There are other applications too but in my opinion “normal” users do not need anything else! I also did not include so called “Toolboxes” which contains collections of different applications. My opinion is that it is the best thing to download all applications that you need and use them. Forget “Toolbox” applications. If you have any other suggestions or you think that I forgot to add something, please leave a comment! I will try to reply as soon as possible. Thanks for reading.